Remarks: ”ROOKS BLUFF FISH CAMP” is one of the few remaining privately owned tracts fronting the Choctawhatchee River. 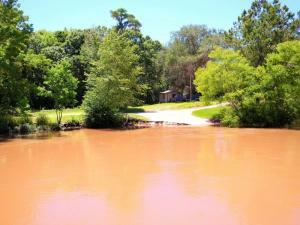 This parcel has a total of 11.488 ACRES, W/ over 700′ of River front! (THE MAJORITY OF THE RIVERFRONT IS NOW OWNED BY THE NWFWMD) This property has a magnificent view from its high bluff setting. It is the last boat launch on the river before you get to Ebro. Launch your boat here and you are only 7+ miles to the bay. Value of this property is in the land. improvements are given no value they will convey in as is condition. Improvements include 3 wells, 1 ARTESIAN WELL, concrete boat launch, power & water in small camping area adjacent to boat launch for RV/camper use, 2 septic tanks, mobile home and outbuildings. Call to take a look today. This entry was posted on June 9, 2017 at 1:50 am and is filed under Blog, Blogroll, My Blog, OkaloosaFlorida.com blog, TeamSoldTV.com Blog. You can follow any responses to this entry through the RSS 2.0 feed. Responses are currently closed, but you can trackback from your own site.